Leirhnjukur Lava Fields at sunrise provide a spectacular, albeit eerie, experience for visitors to Myvatn in northern Iceland. I've written extensively about Iceland as a fantastic location for landscape photography. This photo, made at sunrise at the Leirhnjukur Lava Fields near Myvatn in northern Iceland, is a case in point. It is Mordor fully realized. I pulled the car up in the very early hours of the morning after a long day on the road. I was exhausted and more than ready for bed. But the light looked interesting and, while this location was both hidden from view and a decent walk from the car, I somehow felt the need to get out and explore. And what a joy it was. 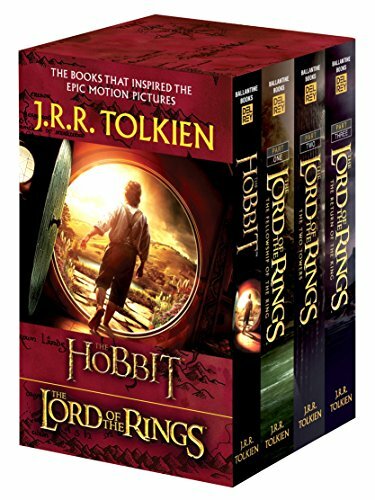 I'm a huge fan of the Lord Of The Rings trilogy. I've read the books at least four times since form three (year 9) at high school and must have watched the films around a dozen times. It's not hard to make the connection between the Land of Mordor and the amazing location depicted above. Is it not J.R.R. Tolkien's vision brought to life? I vividly remember exploring this wild and barren landscape. I had to watch where I stepped as the ground was so hot. I carefully searched for a suitable location that would allow me to make a compelling image as the sun began to rise. Rather than photographing the rising sun I positioned myself behind a hillside and hoped that the sun's rays would spread through the low lying clouds and illuminate the sky above. I made the image at 1/60 second at an aperture of f/8 with my camera set to ISO 100. To avoid the fumes spiriting from the ground I stood back a little and employed my Canon 70-200 mm f4 L series IS lens with a Canon 1.4X Extender attached. The resulting focal length was 254 mm. The sense of compressed space that results from the use of a relatively strong focal length (i.e., 254 mm) is evident in the lack of perceived depth between the foreground fumes and the sulphur colored sky. By bringing the two closer together I feel the sense of menace within the image is heightened. Sheep overlooking a view of ash and fumes in the Krafla vocanic area near Myvatn in Northern Iceland. I remember having to shuffle my feat to stop the soles of my shoes melting. If I stayed in one spot for more than a minute I could sense them beginning to melt. Reeds and their reflections form abstract designs in a pond in rural Iceland. Why Do We Value Certain Photos? I think that, over the years, I've developed the ability to judge the success of my photos from a relatively objective viewpoint. But that's not to say that I don't form attachments to certain images, particularly those that were difficult to make. In that regard I'm no different to anybody else. It takes more than great gear to make a compelling photo. And no, you don't need many years of photography experience nor many years in the school of hard knocks to be able to make a great photo. My point is that our photos contain our life's experience, who we are and what we've done with the opportunities presented to us. At the end of the day the life we've lived and our world view have a great deal to do with who we are. And who we are is, to my mind, the biggest determinant in the photos we make. Just don't discount determination, moderate risk and sheer hard work as major components in your ability to make great photos. In that regard photography is just like any other worthwhile endeavour. What you get out of photography is in direct proportion to what you put in. What Are Our Photos About?